Technology is driving up the cost of acquiring car key replacements, and it’s no longer accomplished by a quick trip to the local hardware store. And it’s not just the auto key replacement prices that are a huge drawback, with replacements taking days or even weeks in some cases. Keeping a spare handy might come useful, but most people never get around to arranging that – owing to the associated costs. Depending on the type of the key, the make and model of the vehicle, the price of a replacement will fluctuate. If you’re looking to get a standard key made with no programming component, it might not cost you a significant sum. However, remote key fobs, transponder keys, proximity keys can average between $300 - $600. I lost my car keys. What do I do? If you’ve lost the only set of keys to your car, then there’s no choice except paying for an expensive replacement and forget about using your car for the next few days. Or is there? If you approach a locksmith for the same, then chances are, you can knock off a couple hundred bucks from the total auto key replacement price and also get it delivered in a short span. 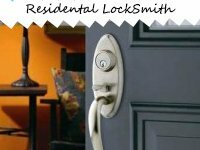 Do locksmiths really provide lower prices? 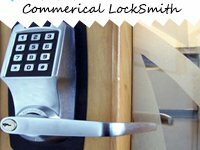 A locksmith’s entire trade revolves around locks & keys and they’re no strangers to dealing with the complex car keys in use today. Despite having the wherewithal to carry out the task, the fact is; most individuals prefer opting for authorized dealers than a locksmith, even though the outcome is the same, if not superior. This fact is exploited by most dealers and customers are often overcharged without hesitance. Opening up to alternatives can save car owners a lot of money on replacements. Littleton Lock And Safe has a specialized automotive locksmithing division – and that means – yes, we make car keys too. And not at the prices your car dealer charges, but at several times lesser! Also, your dealership or online key replacement portals will rarely be of help when you’re in need of keys on an urgent basis. We can make most keys within an hour and we’ll have them delivered anywhere you need it in Littleton, CO area. Don’t believe us? Call 303-357-7642. Talk to our locksmiths to know auto key replacement prices upfront!